There is nothing I would care to rescue from my Google+ account. I think last time I logged in years ago. Still I followed the link in Gooogle’s “hurry up and download” email, but only to play one last time with the circles… and found out that they are only a metaphor now. This very special, very Andy Hertzfeld interface of dragging and dropping your contacts into actual circles is gone. 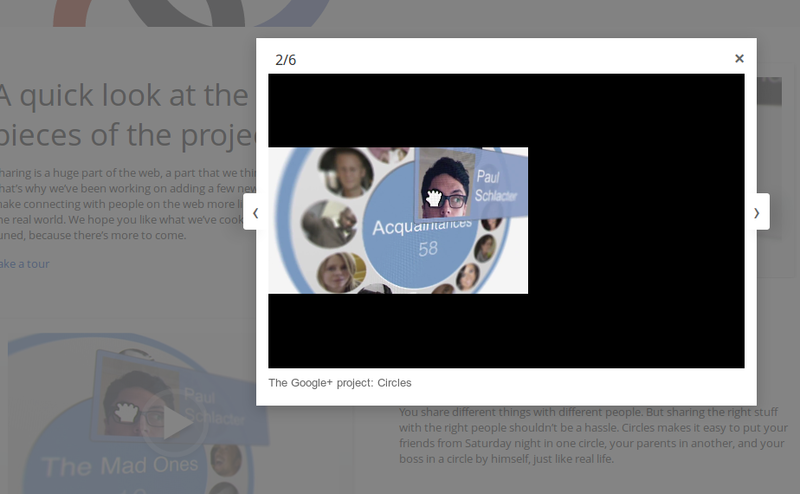 And as my quick YouTube search “How to make Google+ circles” showed that they have been removed a long time ago. So what is left is a “learn more” video on the Google+ intro page captured on the 22nd of August 2011 and early tutorials on Youtube. Immediately intrigued I started to look if there was anything else inside the folder Hollywood/Theater/5049/, but the index.html and these two images was all that was included in the Archive Team torrent. 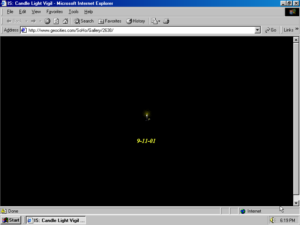 Fortunately, the Internet Archive has captured the site when it was still alive and keeps different versions of it, starting from 20th of February 1999. This is where I got immersed in the world of Jennifer who loves Star Wars, hates Titanic and makes a web site to convert more people to her side by ridiculing Jake and Rose, and Celine Dion; by comparing Imperial Star Destroyer with R.M.S Titanic, counting great things one could do instead of watching Leonardo DiCaprio’s bad acting, suggesting to watch it on video to “rewind it and watch Jack die over and over”, and a lot more. It also appeared that Jennifer was a “ringmaster” of the Anti-Titanic web ring, the logo of which I saw on some pages before. Now I really wanted to get in touch with her. But how to find somebody when only knowing her first name and dead email address boycott_titanic@hotmail.com? I made a call on the GeoCities research blog and tweeted my plea. Despite the conventional wisdom that a tweet lives for just 18 minutes, four months later Gavin Rymill saw it and connected me with Jennifer. Our conversation took place on the 8th of March 2019 via appear.in, with some corrections added via email in the following days. Star Wars vs. Titanic is a document of both pop culture and web culture of the late 90’s. 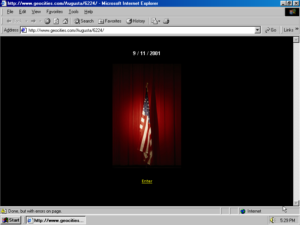 The web site is full of controversy: it is very typical of its genre, but absolutely unique, anonymous and personal at the same time, so 1996 and so 2002. The versions of the site captured over time tell an important story of a web novice’s excitement giving place to boredom. I wanted to hear from Jennifer how it happened. Internet! You are so powerful, so neural and so loooong tail! Please help me to find Jennifer! 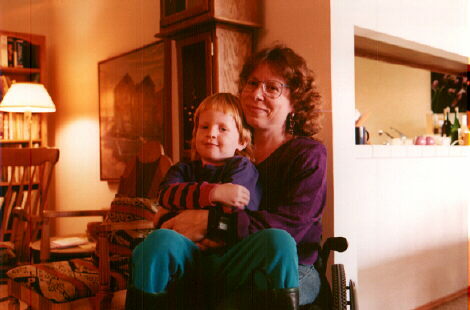 Susansthoughts moved into Heartland/Meadows/1666 in mid-1997 and was last updated in July 1998. It didn’t have a long life and it also didn’t become a comprehensive collection of thoughts or items. It is neither a portal nor a family archive. If it is not the first ever 90’s page you saw it will not blast your mind by its appearance or structure. Still, it is very special website. “This site is self-referential. So is this sentence.” wrote Susan Schapiro about her own creation. This sentence is in the middle of the home page, so when I arrived to it I already knew that “self-referential” is an understatement. susanthoughts was not only a web page about web page or web pages, it asked existential questions: welcome or not to welcome?! Nudes or not? Anonymous or “Don’t not put your name anywhere on your page “. and 10 9 8 7 reasons to create a web page. 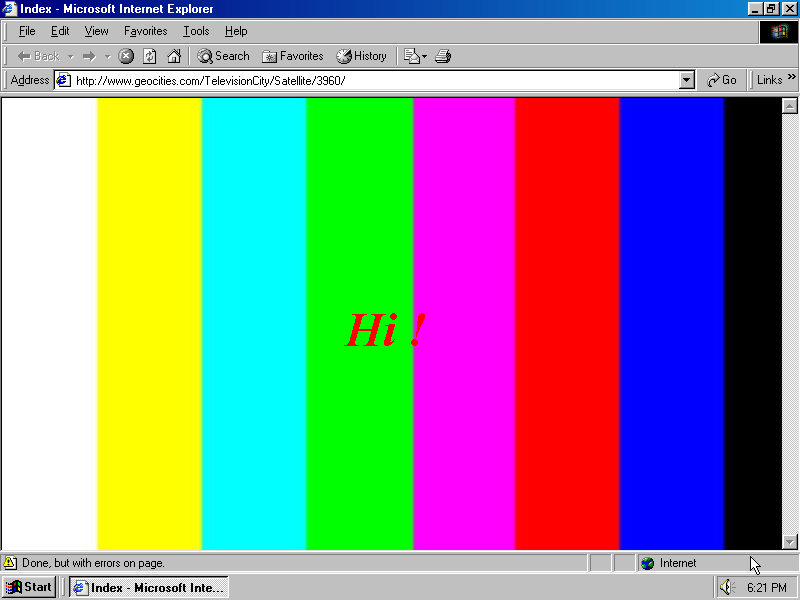 Olia Lialina: Susan, can you remember why did you choose to be on GeoCities? “Geocities is to start charging from April 2, and it encourages users who want to continue using FTP for upload to upgrade to a premium package. Premium users are unaffected by the move,” — The Register, 2 March 2002. As you may remember, Yahoo! 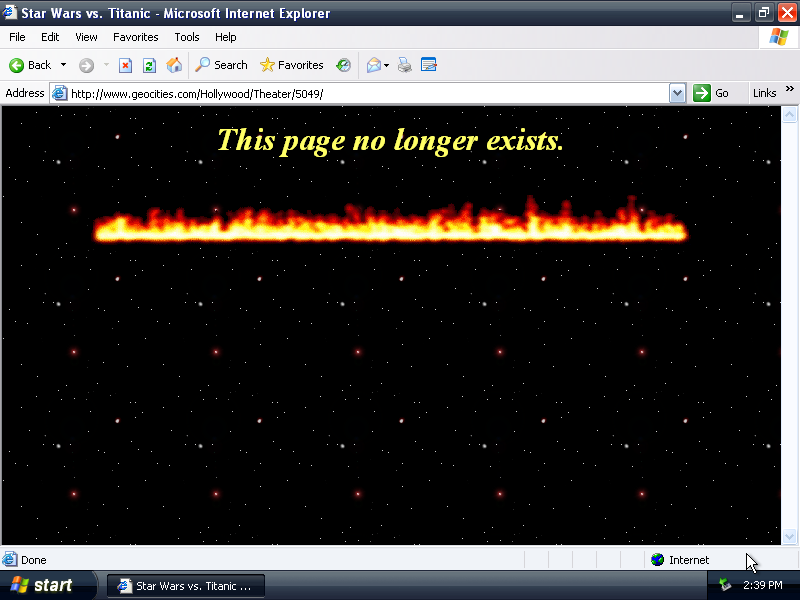 not only killed GeoCities. First and foremost Yahoo! has bought it. 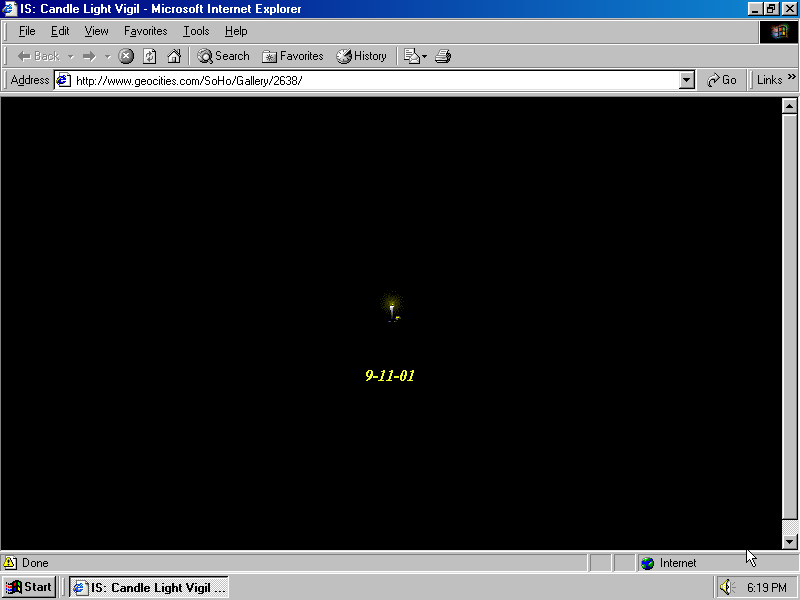 It happened in January 1999, but became clear to GeoCities users half a year later, when Yahoo! changed their terms of service. In In Protest of Section 8, published in 2014, I collected reactions and evidence of that user boycott campaign, which some days later forced Yahoo! to take a small step back. My collection of “angry” farewell messages was growing steadily but slowly, until I reached April 2002, when the next big move of Yahoo! made users furious and pushed them to look for other hosting services: the shutdown of FTP access for the free home page service. I’m spending the last hours of 2017 organizing and categorizing pages last updated in the end of 2001. It’s the time when Harry Potter fanfic starts to get illustrated with stills from the film, not pictures from the book; when N’Sync fandom gets more vibrant than Backstreet Boys fandom; when you see a bit more of cat web sites than one year before, but still more dog lovers are out there; when GeoCities users call Yahoo! names for suspending their sites for too much traffic. However, these are just side notes. 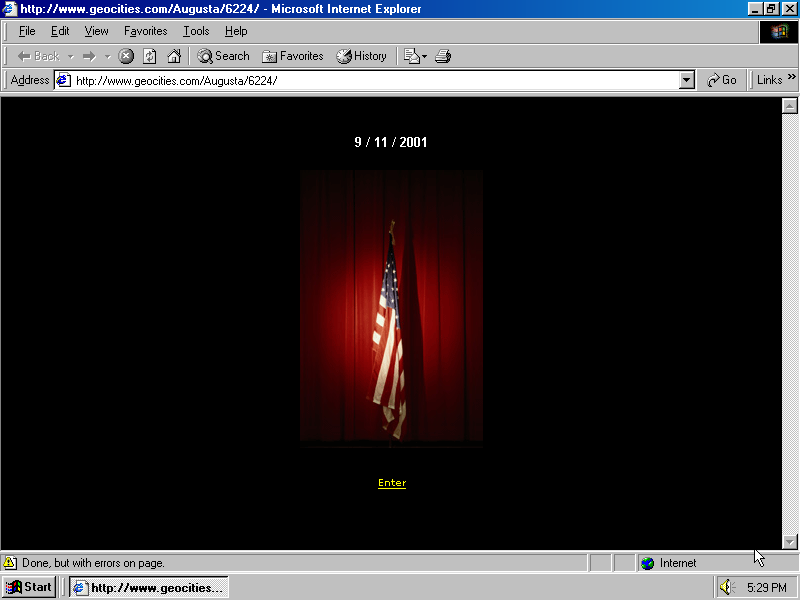 The most striking content from 2001 is websites that were made or modified in reaction to September 11. Up until today I looked at 97 of them, and there will be more sad, angry, devastated, patriotic, conspiracy pages appearing in the coming months. Below is a compilation of 50 screenshots that catch the first days and weeks after the tragedy, and reveal verbal and visual narratives emerging around it. tl;dr: 1TB of KB Age switched to Internet Explorer 6 and Windows XP, but we don’t go for 1024×768 … yet. 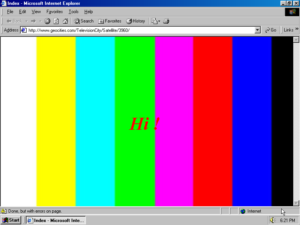 Our Tumblr blog One Terabyte of Kilobyte Age Photo Op started in February 2013. 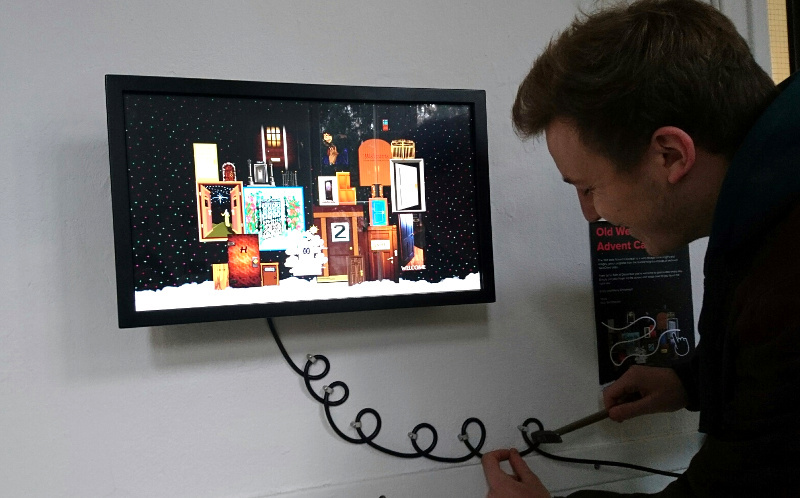 It became popular, people were exited about seeing a new snapshot of the past every 20 minutes. Web pages last updated before the advent of e-commerce and social networks, framed by the sweetest browsers with the cutest logos provoked nostalgia even among the followers who were born after these pages went live on the web. Fifteen months later we made an unpopular but necessary change. Screenshots switched from being created with Netscape to Internet Explorer 5. To say the truth we were really postponing that decision as long as possible, but the 19 March 1999 release of IE5 was the border after which we couldn’t represent the web inside of a browser that no one used any more. It is almost 2018, almost 5 years from the launch, and we are on the eve of the next big sad change. This time it is not connected to any particular moment in the history. It just happened that some weeks ago the repository of snapped sites got empty, and it was time to restart Dragan’s screenshot factory and discuss the appearance of pages that were last updated in October 2001. One thing was clear, time has come to change to Explorer 6 and stay with it till the last screenshot we have. 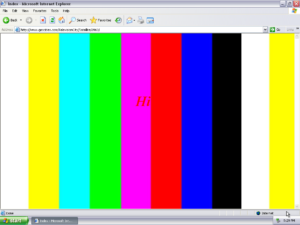 Another thing we seriously considered these last days was switching the screenshots’ resolution to 1024×768 (XGA). Suddenly! An answer from Jeremy Penner ‏to my almost 6(!) years old question! It is my special joy to announce that this year for the first time the GeoCities Research Institute got its own advent calendar. 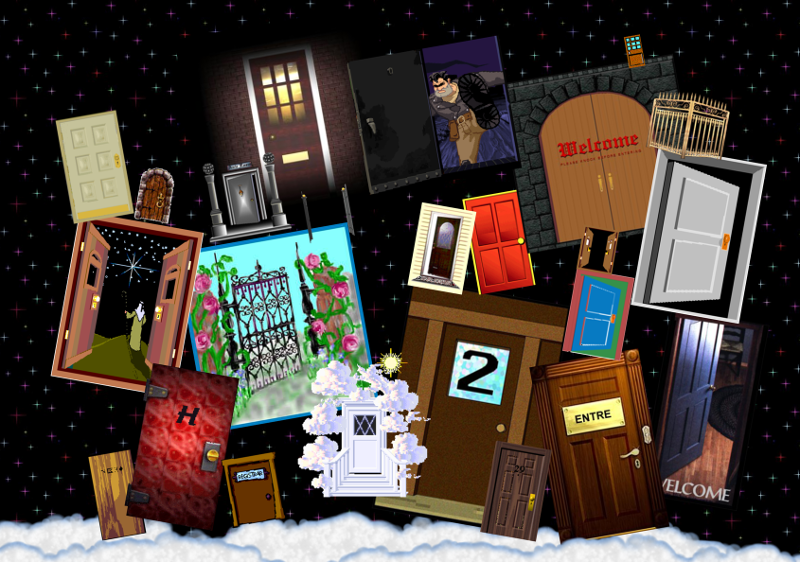 24 doors from One Terabyte of Kilobyte Age archive are waiting to be opened at Old Web Advent Calendar. Door by door, day by day the calendar reveals treasures from the archive. Thanks to the student of our Traditions and Revolutions project group last semester. Surfing the archived geocities sites (it’s totally fun by the way) I found many webpages – collected by my prof Olia Lialina – all having an image of a door on them. Mostly they were used as entrance button leading to the main page. It would be a shame if nobody would ever see those beautiful doors anymore! So I came up with the advent calendar.